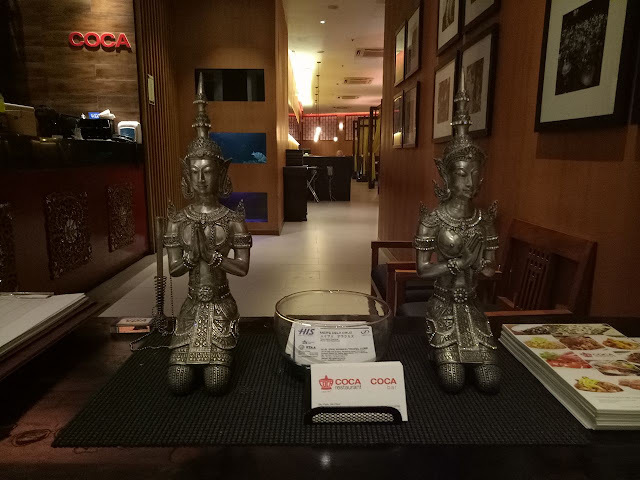 SM Aura has a whole lot of interesting restaurants and one of them is Coca. And since it is a big mall (no kidding), it is sometimes best to make a reservation especially if you are with your family or friends. And to make things easier for you, you can just make your reservation via sEATS app which is available in Play Store and App Store. Go to this link --- sEATS Restaurant Reservation App for your step-by-step guide. Salmon Grapow Cups. These are crispy salmon bits marinated in spices. Its not really spicy but there's that hint of spiciness afterwards that will make you crave for more bites. Yum! Grapow is a common dish in Thailand although chicken is favored instead of salmon. Roast Duck Salad. This is a refreshing salad of duck, cucumber and watermelon. 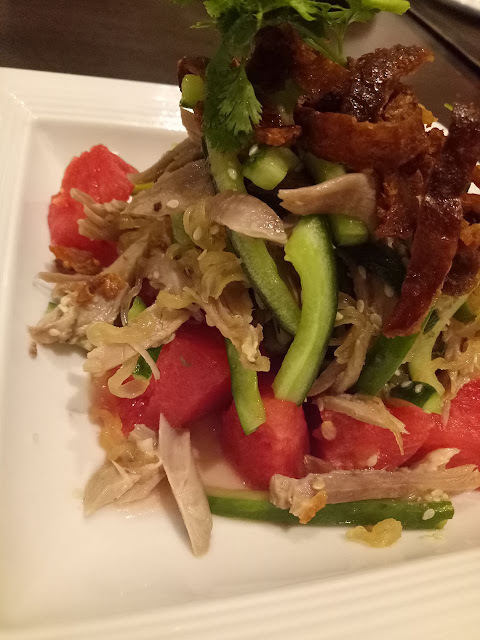 What I like here are the lime with cilantro vinaigrette that is really perfect with the crispy duck skin. 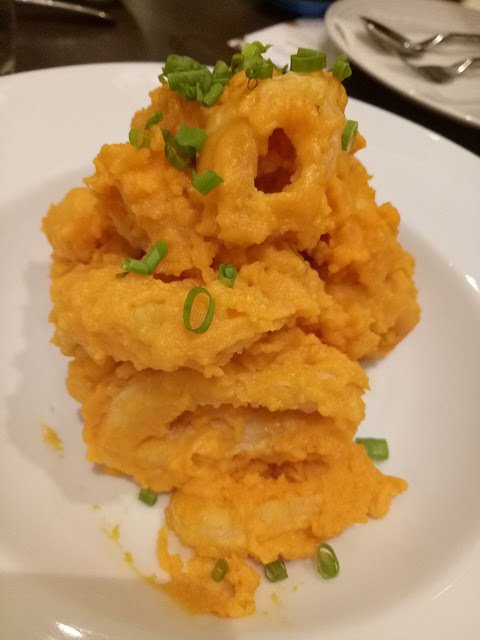 Squid with Salted Egg. 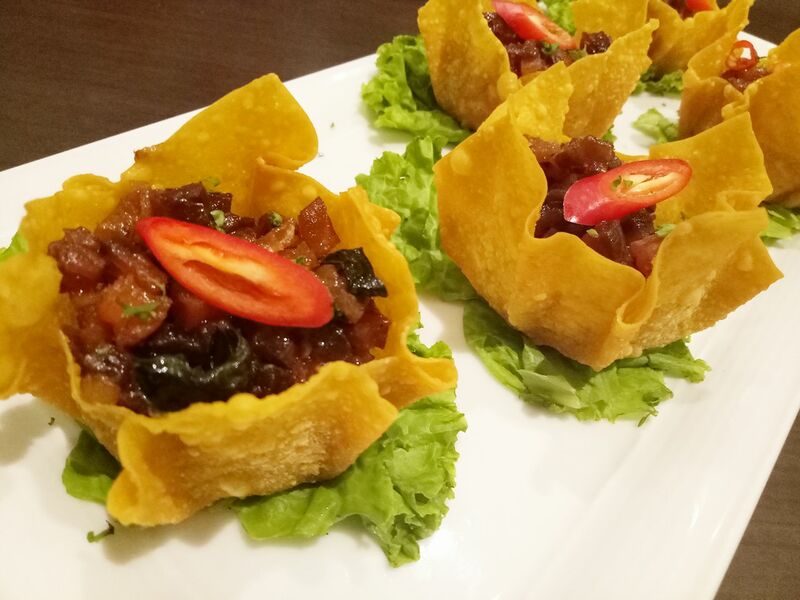 There's a salted egg potato chips craze in town but did you know that salted egg in Chinese food dishes are not that new? Here is Coca's Squid with Salted Egg dish which we were told is quite popular with their diners. And it didn't took me a long time to figure out why. Forget about the calorie count and enjoy this creamy squid that is generously coated with salted egg. I'm not really sure if this is called the Red Fire Platter or the Pacific Sunset. 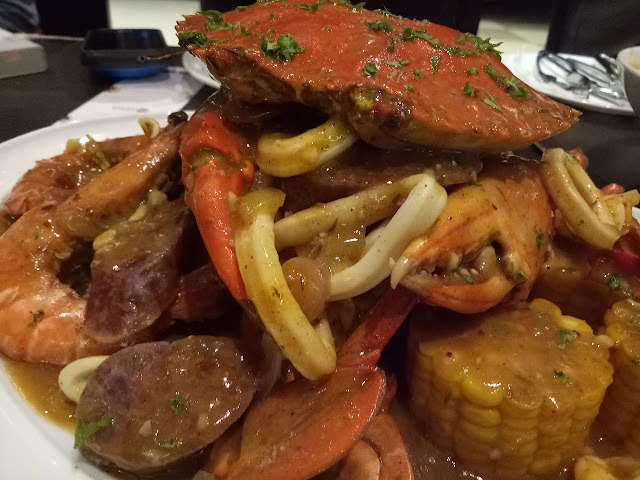 I mean, its a big fat crab! Oh em gee!!! And it's on a bed of corn, shrimp, squid, and sausage. The sauce also tastes heavenly. It made me wish that I am still eating rice but luckily, we were given a bread basket. So good! Galorgee. 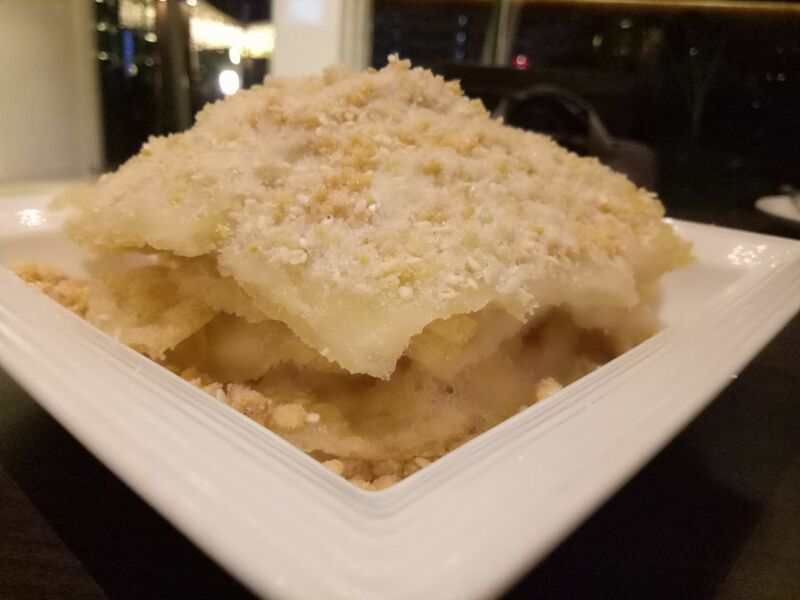 This is like fried "suman." We all had a very pleasant meal at Coca Restaurant. I also love how relaxing the interiors are. C'mon, what are you waiting for? 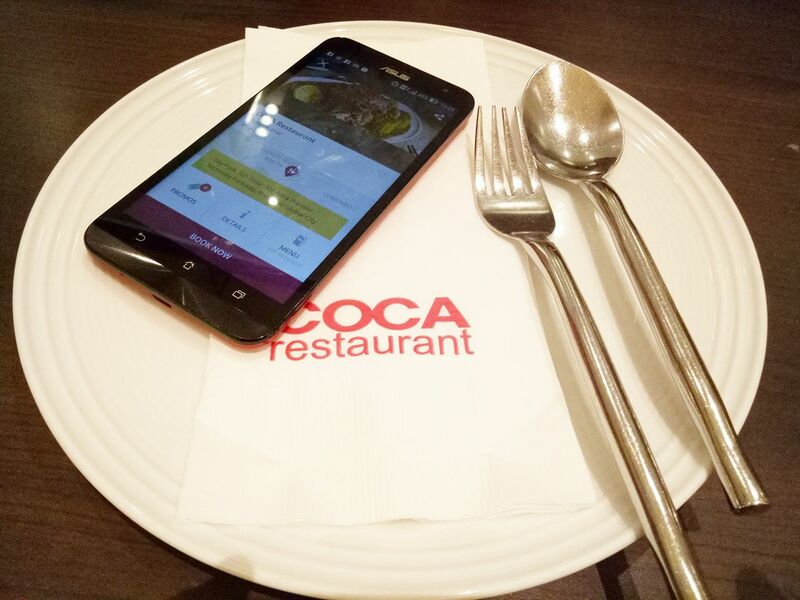 Download that sEATS App now and get yourself a table at Coca. Sawasdee! All photos are taken using OPPO F1 Selfie Expert.